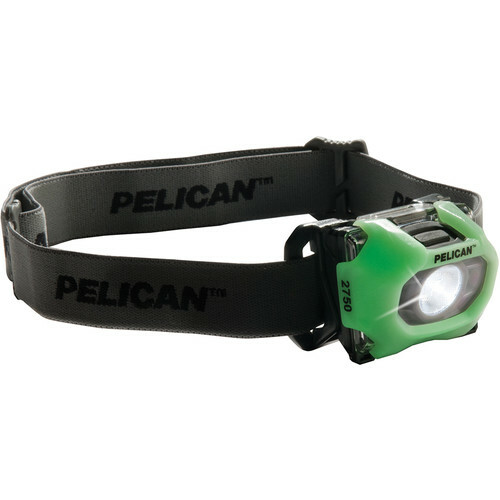 Lightweight, weatherproof, versatile, and powered by widely available batteries, the Pelican 2750 Gen 3 LED Headlamp will meet a wide range of professional, recreational and around-the-house needs. Its white-light LED shines at 63 lumens on low and 193 on high, and there are two special modes – flashing for extra visibility or emergency signaling, and red for preserving night-acclimated vision. The three AAA batteries will power the light for 11 hours on low and three hours on high, and the lamp is designed to make changing batteries quick and easy when it's time for a fresh set. The polycarbonate housing is IPX4-rated splash-proof and impact resistant in drops of up to 3.3 feet. Box Dimensions (LxWxH) 10.5 x 9.0 x 5.8"